Netflix is offering a $100,000 in prizes to those who can advance the technologies of Cloud Computing. There may be no hotter term in the world of technology right now than Cloud Computing. Even if you don’t understand the concept, it impacts pretty much everyone who uses a computer these days, and those of you who watch any form of streaming media such as that offered by Netflix are taking advantage of it every day. For those that wish to throw their hats into the ring, they can find all of the details at http://netflix.github.com/. LOS GATOS, Calif., March 14, 2013 /PRNewswire/ — Netflix, Inc. (NFLX) today announced the Netflix Cloud Prize, a competition designed to make cloud computing better for everyone. With US$100,000 in available prize money, the Netflix Cloud Prize challenges developers around the world to do their very best to improve the features, usability, quality, reliability and security of computing resources delivered as a service over the Internet, popularly known as cloud computing. Contest submissions will be judged by a panel of experts. All submissions will be available freely to anyone. Netflix is a cloud pioneer, starting adoption back in 2009. 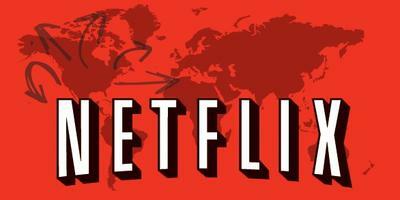 Today more than 33 million Netflix members worldwide benefit from Netflix cloud technology. Every piece of the Netflix experience that members see when browsing TV shows and movies to stream on any device is delivered from the cloud. The cloud also enables features such as advanced personalization, mobile capabilities, social features, and bookmarks that remember where members are in a show or movie. Netflix runs on a general purpose cloud platform, making it easy to provide a reliable service for a rapidly growing global membership. As Netflix migrated to the cloud, the company’s engineers created state of the art technologies which have since been shared freely with the general public as open source software. The Netflix Cloud Prize is divided into 10 categories that offer a US$10,000 prize each, judged by a panel of independent, renowned, technology pioneers: Amazon.com Chief Technology Officer (CTO) Werner Vogels, Thoughtworks Chief Scientist Martin Fowler, Strategist Simon Wardley, Telx Senior Vice President and author of Cloudonomics Joe Weinman, University of Aarhus Developer Training Expert Aino Corry and Netflix Cloud Vice President Yury Izrailevsky. The entry period runs from March 13, 2013 to Sept. 15, 2013. Winners will be announced in October with prizes presented at the Amazon Web Services (AWS) Re:Invent conference in November. All winners will be invited to attend the conference in Las Vegas as guests of Netflix.